Ultra is inarguably a juggernaut when it comes to the international festival sphere. The brand’s expansion has consistently proven to be nothing short of viral, with each year bringing in a bevy of brand new locations in different countries, in addition to the large batch of pre-existing global destinations it’s already staked its claim in. 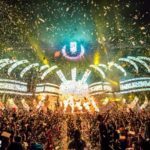 In April, Ultra Worldwide announced debut events in Australia, China, Ibiza, and India. Now, Mexico has joined this list as well, with a two-day festival that will be held just outside the country’s capital, taking place October 6-7. Ultra Mexico will feature the usual spectrum of above and underground artists – including its Resistance concept and what’s sure to be a dynamic main stage. Tickets go on sale May 31 on the festival’s website.